Advanced Wellness Lifestyle Series #4: What is the Average Annual Employee Turnover? Growing evidence is suggesting that corporate invest more into wellness programs to increase both customer and employee loyalty. Did you know that the average annual employee turnover rate within a company is 15-25%? Every six years employees generally switch employers. One out of seven workers is expected to leave annually. When a business loses employees, it loses skills, experience and “corporate memory”. The magnitude and nature of these losses is a critical management issue, affecting productivity, profitability and product and service quality. For employees, high turnover can negatively affect employment relationships, morale and workplace safety. The cost of replacing workers can be high. The problems associated with finding and training new employees can be considerable. The specific workplace-acquired skills and knowledge people walk away with can take years to replace. Companies need to see employees as assets rather than expenses and expect these assets to pay returns over a period of many years. Human capital, unlike most other assets, does not depreciate costs. Human capital improves quality and helps maintain customer relationships which generates superior productivity. Virtuous profit is the result of creating value, sharing it and building the assets of the business. The true measure of profitability is customer loyalty because customers will come back for more! Employee loyalty fosters customer loyalty. A wise company strategy is to nurture loyal customers by loyal employees to create mutual benefit, value and profit. Many employers underestimate the cost of employee turnover. Researchers have estimated the cost of turnover to anywhere from 30% to 150% of an employee’s annual compensation. For senior or long-term employees, the cost is higher due to the loss of knowledge, skills and contacts. These percentages vary depending upon what is included in the estimate. Employee turnover has both direct and indirect costs to a company. The direct costs include advertising, hiring, orienting, and training a new employee. Indirect costs include lost employee’s productivity, time and cost for management involvement or HR to tackle vacant positions, fatigued workers, increased workloads (overtime), inadequate staffing, decline of morale, and inferior productivity as a new employee learns the vacant position. No company can afford to keep employees who fail to create enough value for their customers to more than cover their own compensation. And no employee can afford to stay in a company that fails to create enough value for employees to reach their maximum productivity potential. So, what can a company do to increase employee loyalty? How does a company stop an employee switching jobs every six years? 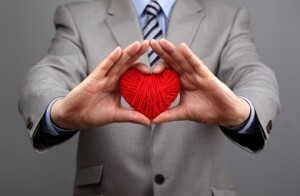 How do you get your employees to invest in and love your company like you do? According to an article written by Katherine Baicker, David Cutler and Zirui Song, “Amid soaring health spending there is growing interest in workplace disease prevention and wellness programs to improve health and lower costs. In a critical meta-analysis of the literature on costs and savings associated with such programs, we found that medical costs fall by about $3.27 for every dollar spent on wellness programs and that absenteeism costs fall by about $2.73 for every dollar spent. Although further exploration of the mechanisms at work and broader applicability of the findings is needed, this return on investments suggests that the wider adoption of such programs could prove beneficial for budgets and productivity as well as health outcomes”. Health Affairs 29, NO.2 (2010):- 2010 Project HOPE-The People-to-People Health Foundation Inc.
Research is showing that the solution to better employee loyalty and customer loyalty is to implement a wellness lifestyle program. With a wellness plan and implementation, an optimal system can be established to better fulfill both the company’s needs and the employee’s needs. The health of your company is only as strong as the health of your employees. Check out where you think you or your employees might fall on the health continuum. If you answered yes to even one of the questions, it may be time to consider strong action to improve company health in the broadest sense.